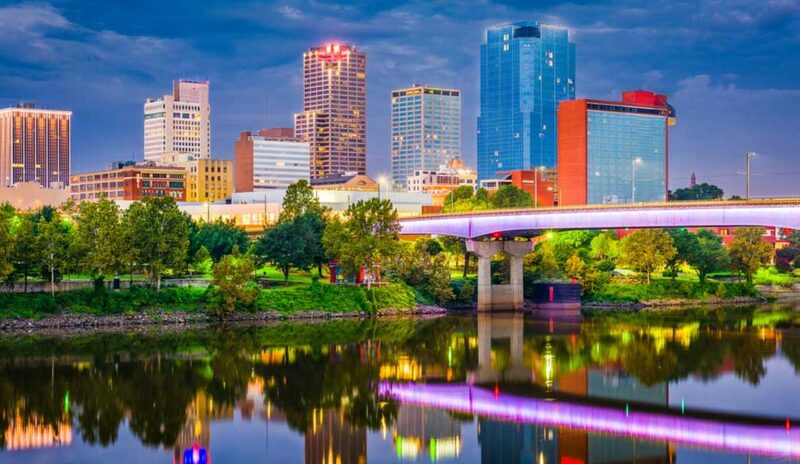 On December 12th & 13th Imperious Expo will host the 2nd annual ARK-LA-TEX expo at the Arkansas Statehouse Convention Center in Little Rock, Arkansas. This public event is the prime opportunity to meet with experienced ancillary businesses in the cannabis space. ARK-LA-TEX is perfect for both patients and businesspeople as it gives a behind the scenes look into this burgeoning new (old) industry. Patients may enjoy seeing booths with vaporizers, cannabidiol, nutrients, and lighting displays. While busy entrepreneurs who have not had time to explore the industry in a legal state can make connections with businesses involved in analytical testing, transportation, security, packaging, labeling and banking, just to name a few. In addition to the exhibits, attendees may also sit in on three separate speaker tracks: education, investors, employment. The 2017 show included talks on extraction, launching a successful cultivation facility, the future of industrial hemp, federal policy updates, and panels on topics like regulations, terpenes, compliance and more. Weedmaps will again be hosting the after party where attendees can rub elbows with the speakers and other entrepreneurs. Last year Live Sosa performed to a packed house at the Revolution Music Room. The two day event is the perfect opportunity to meet successful cannabis industry professionals and learn from their victories, as well as mistakes. Admission is $50 for either or both days. If you would like to reserve a booth for your business, please contact Courtney at (918) 303-2552.